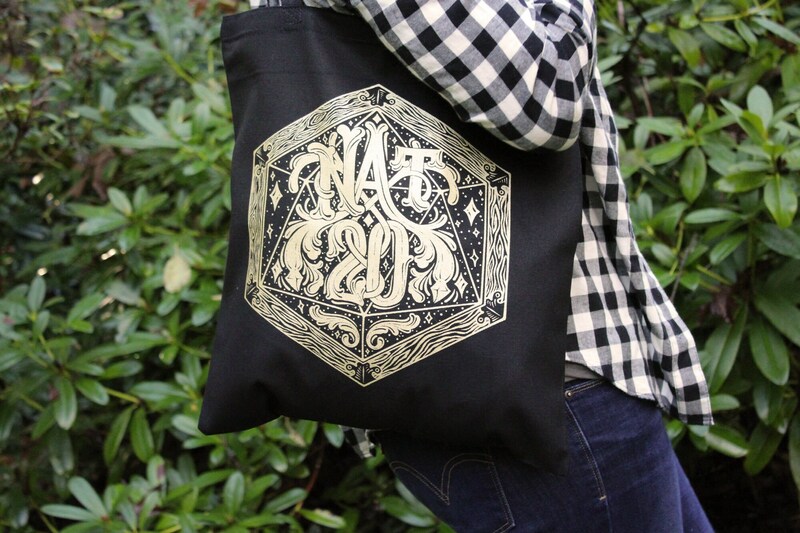 You'll be a Natural 20 at your next Dungeons & Dragons session if you roll in (pun intended) with this enchanted black and metallic gold tote. 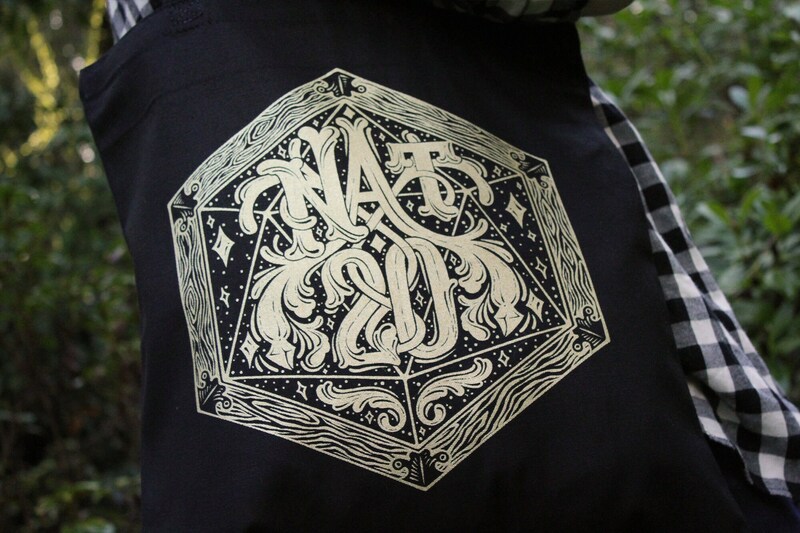 Great for carrying any and all editions of D&D books, dice, and whatever else your geeky heart may desire, this bag of holding will make a perfect addition to your party! I love this bag. I love the design. 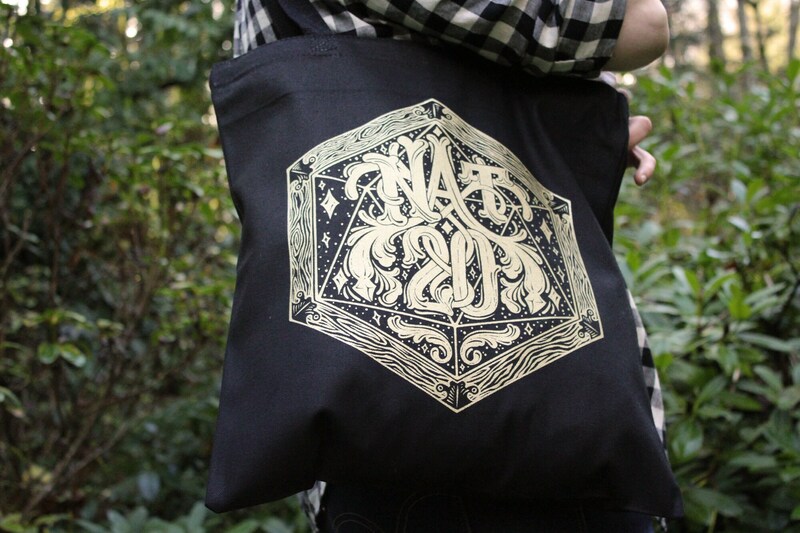 I love the font and design on the front of this bag, and the material itself feels sturdy. I love this shop. They do beautiful work.